Yay yay yay! P.S. Have you pre-ordered? The book comes out in 2 weeks (OMG). I would be so ever-grateful if you helped my first novel make a decent splash on its first week! I am so grateful to the gracious early readers of The Violets of March---bloggers, booksellers, writers and editors, industry folks, etc.. So many have been writing with the kindest things to say, and as a new author, there is nothing more exciting and special than to hear that the book you wrote was enjoyed. After all, that's why any writer writes---in hopes that it engages a reader and tugs at their emotions. It is so lovely and wonderful. I wanted to share these three beautiful and thoughtful reviews of Violets: *Tiffany, from A Cozy Reader's Corner, said "Ms. Jio has proven to be a masterful story teller with this novel. It is full of depth and emotion with twist and turns that carry the reader away. Excited to share the latest good-news update for The Violets of March. I heard from my editor at Penguin today who shared that the audio rights for the book have sold! This means that you will now be able to listen to my novel in your car (or on your iPod, I think)--woohoo! I'm so excited about hearing a narrator read the story. I'm sure it will feel like a completely new tale to me (even if I did write it myself!) hearing it in the voice of someone else. Can't wait! Do you listen to audio books? P.S. Check out this lovely review of Violets over at the GirlfriendBooks.com blog! VIOLETS Is a Target Pick! A little update to share that THE VIOLETS OF MARCH was chosen as a May pick for Target's "Emerging Authors" program. How cool is that? Promise to send me a photo of the book at a Target store in your area this May? So excited! Yes, it still looks the same, but note the addition of the beautiful blurb from Jodi Picoult on the cover! (Swoon!) I love how it looks up there. What do you think? I was so fortunate to also receive gorgeous endorsements from Allison Winn Scotch, Claire Cook, Beth Hoffman, Sarah Pekkanen and Kelly O'Connor McNees as well, and these will appear on the back cover and inside flap. I'm so grateful to all of these terrific authors for taking the time to read and support my debut novel. That's all for now. I'm an exhausted, sleep-deprived new mama, but loving every minute with baby Colby---who slept for 4 hours straight last night. A miracle. I Sold My Second Novel: "The Bungalow"! 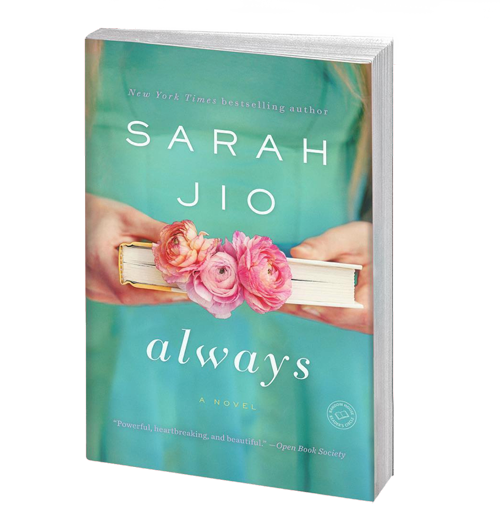 Advance Praise From … Jodi Picoult! Fun news to share! Jodi Picoult, New York Times bestselling novelist (and you may have seen her recent novel-turned-film, "My Sisters Keeper" starring Cameron Diaz) read The Violets of March and shared this beautiful endorsement for my debut novel: "Mix a love story, history, and a mystery and what takes root? THE VIOLETS OF MARCH, a novel that reminds us how the past comes back to haunt us, and packs a few great surprises for the reader along the way. " —Jodi Picoult, author of Sing You Home & House Rules I think I'll have a smile on my face for the rest of the year about this. An enormous thanks to Jodi for taking the time out of her busy schedule to read!